A new addition to our rare and beautiful Art Deco Collection. 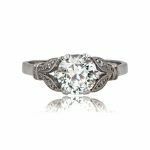 The center of this vintage engagement ring is adorned with two antique carré cut diamonds. 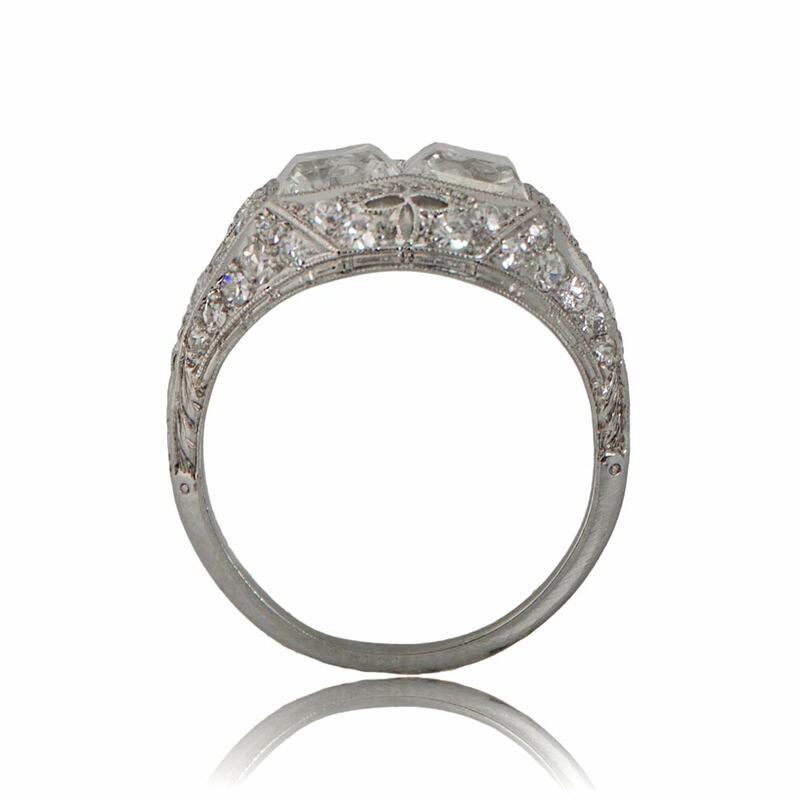 Milgrain and diamonds line the shoulders and lower gallery of this handmade platinum mounting. 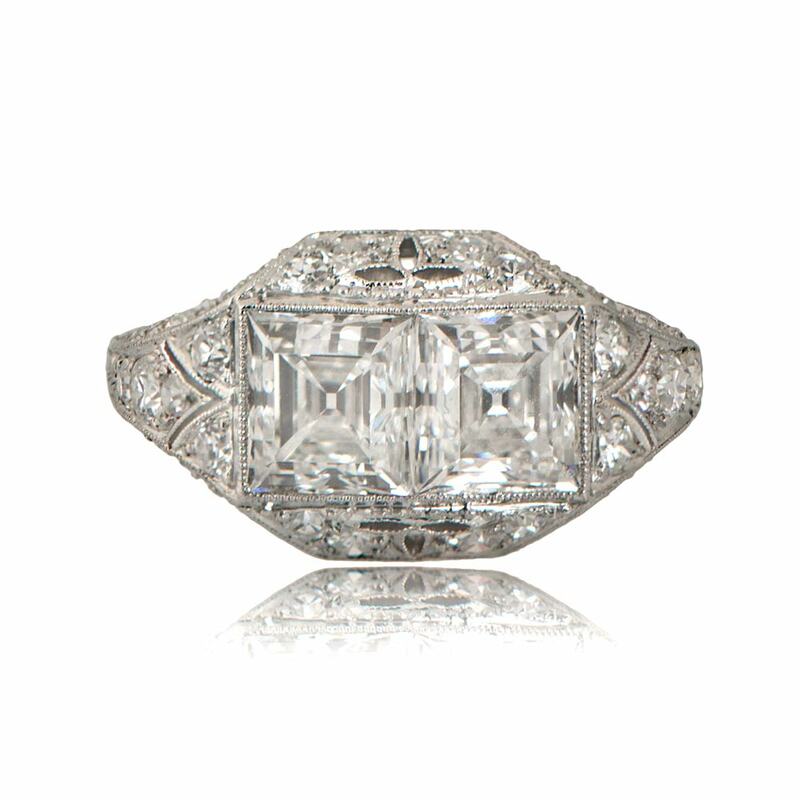 The antique carré cut diamonds in the center are approximately 1.50ct each, E color, and VS1 clarity. 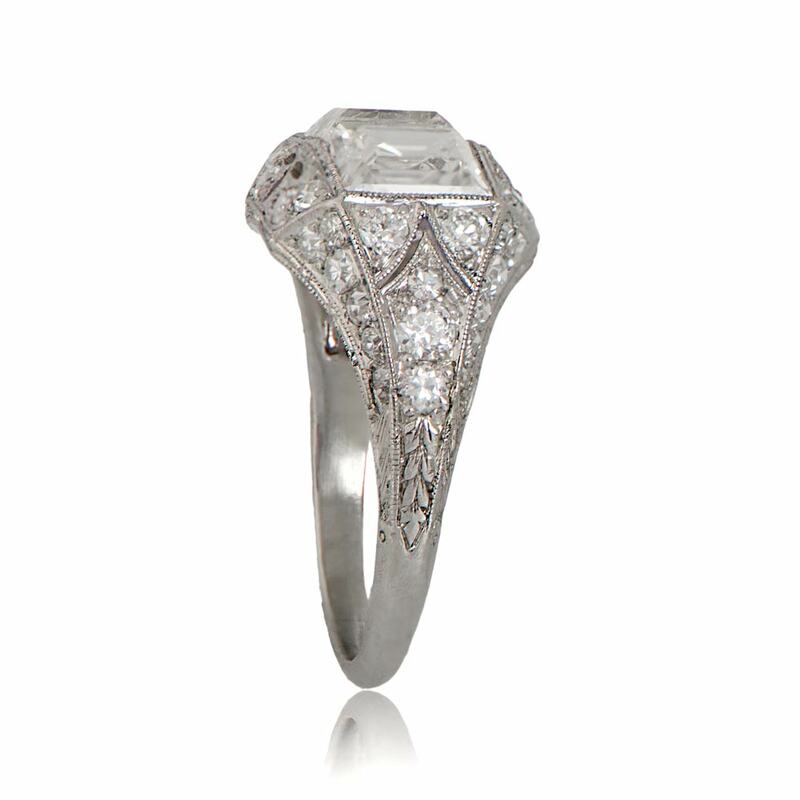 This rare ring is from the Art Deco Era, circa 1925. 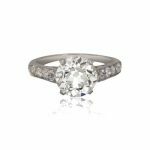 SKU: 11235 Categories: Sold, Vintage Cocktail Rings - Contact us and request additional pictures.